The excellent quality of digital communication networks in the country’s interior and center, together with the lowest overall costs, is a window of opportunity to attract and set the population and companies whose activity is or may be based on Digital Economy (including a wide range of activities in the area of ​​Creative Industries). There are conditions in the Interior of the country to stimulate an economic model with more future, greater attractiveness for the younger generations and with a global potential that digital networks naturally offer. In a free society, characterized by a market economy, it should be possible to articulate territorial development policies with competitive conditions and advantages capable of attracting economic and social agents. In articulation with the Institutions of Higher Education, an important axis of production of knowledge can be identified, articulated with the companies and with the poles of entrepreneurship of Universities and Polytechnics. In this context, a new reality is emerging around the A23 axis, making it possible to identify the constitution of a true network of strategic points based on digital projects and whose population is served by the physical artery that is this motorway. At present, it is worth mentioning some of the milestones of this new economic and social matrix: Covilhã (UBI, Datacenter of PT / Altice, et.al. ), Fundão (Altran, et al), Abrantes (ESTA, Compta, et al), Tomar (IPT, Softinsa / IBM). Territorial Marketing should be viewed as an integrated way of perceiving, thinking and developing territories: that is, as a strategic and integrative approach to the different territorial development policies, in particular producing behavior in order to attract, fix, retain or alienate people of a given territory. 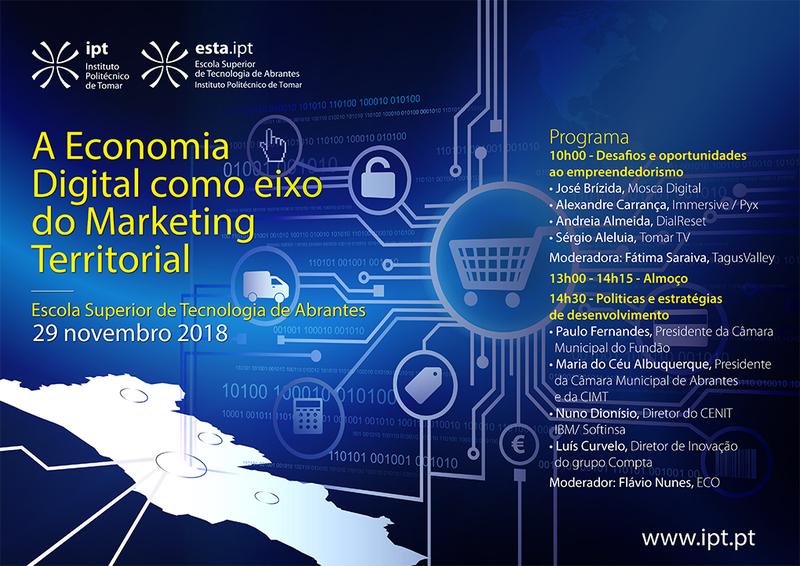 How can the Digital Economy be a lever to reach the objectives of Territorial Marketing and the sustainable development of the Interior of Portugal?